You are here: Home / Retirement / The GM Pension Do Over – Cadillac or Chevy? The GM Pension Do Over – Cadillac or Chevy? As you may have seen in the news, General Motors is offering some of its former employees what amounts to a pension do over. I met with one of these former employees recently to discuss this offer in the context of potentially doing a financial plan for him and his wife. Keep his current monthly benefit. Change his monthly benefit to one of two new options that would involve annuities via Prudential. For the prospective client this was the “life event” that prompted him to come and meet with me. In his case, their overall financial situation allows them to fully consider all three options. As you are likely aware, GM’s motivation for offering this program is to remove the liability for their future benefits from the GM balance sheet. Let’s briefly look at the three options. Stay with their current monthly benefit. In this case the prospective client took an annuity payment with a 65% benefit for his wife should he predecease her. His current benefit is lower than either of the two new annuity options that are offered via Prudential. However, regardless of his choice, the liability for providing the monthly benefit is shifted from GM to Prudential. This means the beneficiary is now relying on the full faith and credit of Prudential. This is not necessarily a bad thing as Prudential seems to be a solid company. The skeptics among you might say that so was AIG (or at least they were perceived as such) prior to 2008. The other consideration is that by moving to the Prudential option one would lose any PBGC (the government organization that insures pension benefits) protection should GM encounter financial difficulties in the future. Should Prudential encounter financial problems beneficiaries would need to rely on the resources of various state insurance departments, this may be perceived as iffy in these tenuous times for many states. Move to the new higher Prudential Payouts. As mentioned above, there are two payout options. One offers a 50% benefit to his wife should he die first, the other offers a 75% benefit. The monthly benefit is higher for the first option; both options offer a higher monthly benefit than his current benefit via GM. Not all retirees are eligible for these additional options, however. Regardless of his choice, the liability for all future monthly annuity payments will be shifted to Prudential. Take a lump-sum distribution. This option allows you to take the lump-sum value of your pension benefit as a distribution. For most people considering this option the best move would be to roll this amount over to an IRA account in order to preserve the tax-deferred status of the money. A distribution in cash would trigger taxes and could be quite costly. This option allows you the ability to manage this money and the distributions. This can be a good option for those do it yourselfers who are comfortable doing this and for those who work with a trusted financial advisor. One downside is the loss of the guaranteed income that comes with any of the annuity payout options. In the case of my perspective client and in the case of many, this decision will be made in the context of their overall financial situation. My perspective client has other financial resources and his wife plans to continue her professional career for the foreseeable future. Their current income is fairly high and they have the ability to continue to accumulate retirement assets for several more years. Others faced with this decision may be in different circumstances which they will need to consider in making this choice, in addition to the features of the choices themselves. The broader implications of this move by GM may be seen down the road. Pension costs are a major financial burden for many companies large and small. The GM pensions were part of the very rich benefits packages won over the years by the auto unions and are very costly to GM on their own. Current historically low-interest rates work against the funding status of the pension liabilities of domestic organizations offering defined benefit pension plans, both active and those with frozen benefit levels. These lower interest rates result in higher required pension contributions, a drain on corporate profits and cash flow. In the case of public pensions this is a tremendous drain on the state and local coffers as we’ve seen here in Illinois. If this GM move is successful I suspect other companies will follow GM’s lead. Many other retirees currently receiving pension benefits may find themselves faced with a similar choice to make. If you need help evaluating your pension options or with financial planning for your retirement please feel free to contact me to discuss your situation. June 1 brought an announcement from General Motors on their plan to lessen pension liability by a predicted 26 billion dollars. The plan will offer a number of U.S. salaried retirees a lump-sum payment and other retirees a continued monthly payment. 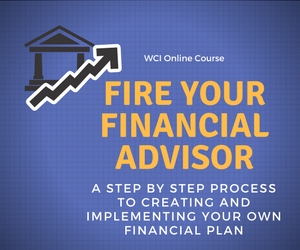 The decision-making process is complex; it is recommended to seek the counsel of an experienced financial advisor. The decision deadline is set for July 20, 2012. Jenny thanks for your comment and I couldn’t agree more that the decision making process can be complex.